For many constituents tired of Washington’s circus act, the upcoming midterm elections are a godsend. It’s an opportunity for the political opposition to significantly alter the balance of power, or at least mitigate damages. Investors should start researching the best stocks to buy now, considering the implications. Here’s what is at stake for the Congressional midterm elections: all 435 House seats are open season, in addition to 35 Senate seats. In the latter, the Republicans currently enjoy a slight advantage, holding 51 seats over the Democrats’ 47 seats. The House features 236 Republicans, and 193 Democrats, with six vacant seats. According to a recent statistical analysis, Democrats have a nearly 80% chance of controlling the House. Team blue is also targeting the Senate, although it will be an uphill battle: Republicans are likely to keep control to the tune of 71.1% probability. No matter what happens, it’s fair to say that President Trump’s administration will endure a split government. And if you thought this year presented surprises for the markets, wait till after the midterms! Therefore, some good stocks to buy include names that are relatively immune to political volatility. In addition, the best companies to invest in will include names that may benefit from either Democrats gaining control or the midterm’s inherent political vitriol. These are more speculative ideas, but it’s worth taking into serious consideration. Lowe’s Companies (NYSE:LOW) is one of the best stocks to buy now for the simple fact of its core business. No matter what state the economy is in, or who is in power, home-improvement projects will continue onwards. Moreover, home repairs can’t and won’t wait for anyone or anything. Beyond that, LOW stock is compelling because of its underdog status. For the longest time, LOW played second fiddle to sector leader Home Depot (NYSE:HD). Now is the time for Lowe’s to play much-needed catch-up. They’ve done exactly that with a changing of the guard. Former JC Penney (NYSE:JCP) CEO Marvin Ellison took over the helm earlier this year, and the impact is palpable. Ellison has forced his executive team to refocus on the company and brand. Gone are endeavors that haven’t contributed to the bottom line, which explains the decision to close Orchard Supply. LOW also produced an earnings beat in the second quarter after a string of losses. Certainly, HD qualifies for any list of good stocks to buy. However, LOW just might have an edge in upside potential. Republicans carry the reputation of being military-friendly, and to be fair, the last election only solidified this image. According to Military Times, active-duty service members overwhelmingly supported Trump over former Secretary of State Hillary Clinton. 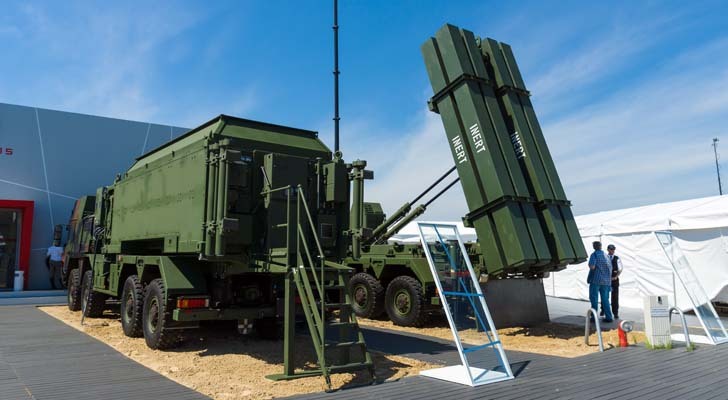 But the real answer may be more nuanced, which favors defense contractors like Raytheon (NYSE:RTN). According to a Time report during the 2012 election, a survey revealed that military officers leaned Republican. However, enlisted service members tend to vote Democrat. Obviously, since we have more enlisted than officers, Republicans may not have a military edge like they automatically believe. This relatively underappreciated dynamic leaves room for the Democrats to win some votes, which favors RTN. Certainly, defense contractors overall represent good stocks to buy. However, RTN is among the best stocks to buy now because of the geopolitical situation. President Trump looked incredibly weak in front of Russian President Vladimir Putin. It was an unusually bad optic that the Democrats will exploit. Should Democrats pull off surprising victories in the Senate, and later, in the White House, expect increased military spending. In many ways, the U.S. must separate itself from its awkward and forced bromance with Russia. What better way to do this than a show of force? I like RTN for now, and as a longer-term investment. Throughout its time, AT&T (NYSE:T) has carried the reputation as a safe, perhaps boring, dividend-paying company. And given our political circus, and rising tensions internationally, any organization that provides consistent passive income fits the good stocks to buy categorization. That said, T stock rises above the crowd, making it one of the best companies to invest in. I’m not just referring to its generous dividend yield of 6%, although that does help significantly. It’s just a little bit under what the Dow Jones is currently returning. Plus, we don’t know how the broader markets will react to the midterm elections, and related events. However, we have confidence that T will continue offering handsome payouts. That’s important in the sense that should the markets go volatile, dividend-bearing companies ride the turbulence comparatively well. For T stock specifically, you have to love the excitement surrounding its 5G network rollout. 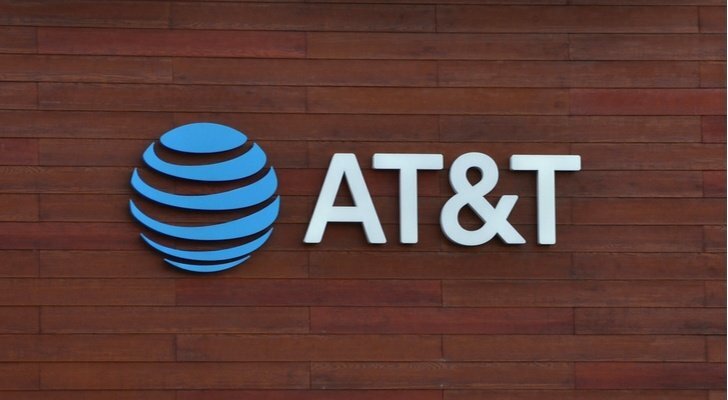 Sure, Verizon Communications (NYSE:VZ) technically beat them to the punch, but AT&T is investing more time in doing it right. Here’s another wrinkle to consider: earlier this year, AT&T acquired TimeWarner, which obviously means AT&T owns whatever Time Warner owned. One of those brands is CNN. Media companies are having a field day covering our ongoing political fiascos. Believe me, it is good to be a T stock shareholder, as it’s among the best stocks to buy now. 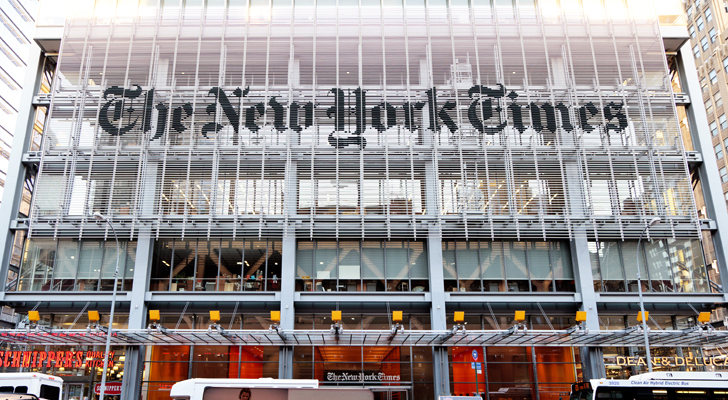 Easily one of the best stocks to buy now is the New York Times (NYSE:NYT). The world-renowned newspaper has flourished under President Trump’s reign. This is no “fake news” as the facts speak for themselves. Since the fateful results of election day 2016, the tears shed throughout blue counties across America. But for NYT shareholders, those tears turned to ones of joy. So far, NYT has gained nearly 110% following the election. Strangely, shares have returned more during Trump’s two years as opposed to former President Obama’s two terms. Really, this is the power of compelling drama. Any good story features a pivotal conflict; the greater the conflict, usually the better the story. With Trump, NYT and the mainstream media have all the conflict they need. To paraphrase CBS (NYSE:CBS) CEO Les Moonves, Trump is bad for America but great for the news industry. 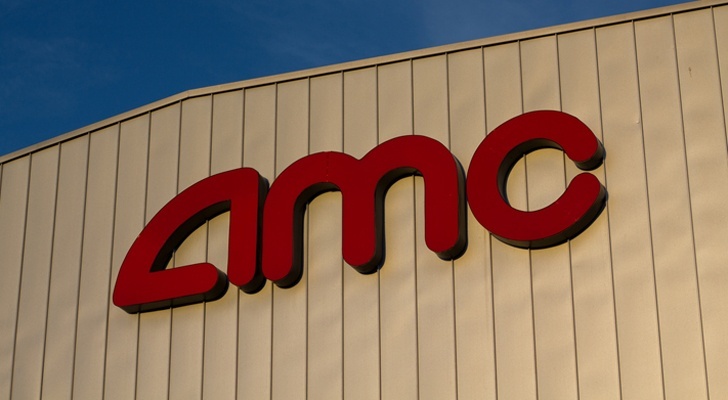 Recently, I’ve been pounding the table for AMC Entertainment (NYSE:AMC) as one of the best stocks to buy now, especially after its second-quarter earnings report. First, let me address my personal motivations behind the idea. Yes, I own some shares in AMC stock, so naturally, I want to see shares rise in value. In my humble opinion, it’s more important to consider why I took the leap. I’m very particular with what I own. Having written over 1,000 articles for InvestorPlace, I can tell you right now that I haven’t invested in all the good stocks to buy that I’ve previously recommended. With AMC, I feel confident that they’re on the right track. Technically, the worst of the volatility is over. I believe the opportunity for low-hanging fruit is now. Fundamentally, AMC is more resilient to the content-streaming threat than people realize. Moviegoing is still a relevant cultural activity, and it represents cheap entertainment. In addition, we’ve witnessed a resurgence for select retail names. AMC Theatres are almost-always located in high-traffic shopping centers. If people are returning to the malls, that favors AMC. Finally, the company is midterm friendly. People get tired of the political venom thrown around. What better way to unwind than a dinner and a movie? It’s classic entertainment, which is why AMC is one of the best stocks to buy now. Under ordinary circumstances, I probably wouldn’t place H&R Block (NYSE:HRB) on a list of best stocks to buy now. I’m not even sure if I’d put it on a list of merely good stocks to buy. HRB hasn’t gone anywhere over the last five years. This year, HRB is virtually at parity. But the midterm elections make H&R Block especially compelling. As you know, one of President Trump’s most controversial policies was tax reform. I really don’t want to dive into this debate, but in a nutshell, Democrats accuse Trump of giving a tax break for the wealthy. Logically, the midterm elections offer the left a chance to fight back against such fiscal policies. Their battle in the House seems like a sure victory. The Senate is a much different story. But even if the Democrats just regain the House, it would dampen the mood at the White House. Perhaps, it might force the President to the negotiating table. For us regular tax-paying folks, future mid-April deadlines could become more complicated. This political drama is exactly what the doctor ordered for HRB. Again, it’s speculative, but it just might pay off. As some of you might know, draconian California ammunition-sales restrictions went into effect this year. Gun owners in the Golden State can no longer import ammo from other states, nor can they purchase ammo online. Moreover, gun stores must keep ammunition “locked” away in a playpen of sorts. I recently sat down with a store manager of LAX Ammo to discuss how these new laws impacted ammunition sales. Surprisingly, the manager didn’t really discuss the latest restrictions. Instead, he cited roughly an 80% loss of business due to one component: lack of fear. During the Obama administration, gun sales spiked as thousands acquired weapons that the government would likely illegalize. Ultimately, those fears didn’t materialize but gun stores nevertheless took advantage of the boon. That’s why you should probably consider looking at Sturm Ruger & Company (NYSE:RGR) now. Democrats winning just the House won’t change much in terms of gun laws. But for the left, the midterms represent a signal of intent. If they put in a good performance, it sets the stage for the ultra-critical 2020 elections. While RGR is a strange bedfellow, blue victories turn into tons of green. 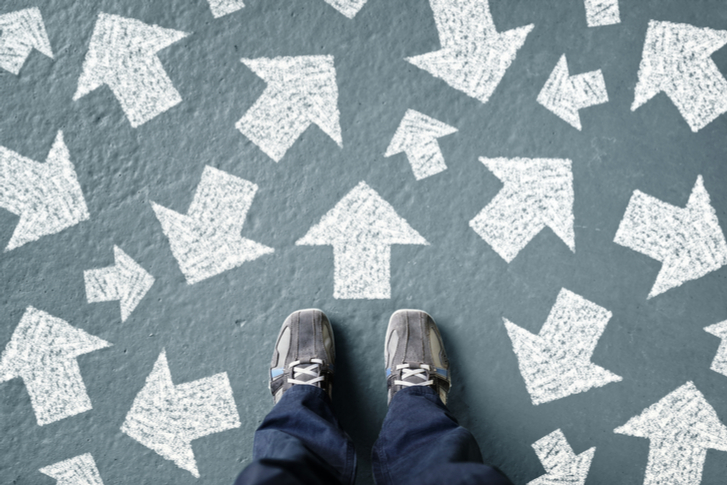 Article printed from InvestorPlace Media, https://investorplace.com/2018/10/7-stocks-to-consider-during-mid-term-uncertainty/.